Chemistry: Carbon, Hydrogen, Fluorine with a double Carbon bond. Cylinder Design: Fitted with left-handed valve that will be CGA 166 type. Cylinder Design (2): Contains a pressure relief valve on the cylinder shoulder. Price Point: Very high price when compared to R-134a. Ok, so we’ve got the basic facts out of the way now on this refrigerant. 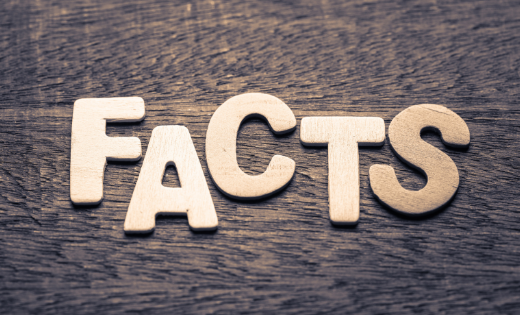 Now let’s take a look at some of the more interesting points about this refrigerant. As I am sure most of you know 1234yf is meant to take the place of the very popular HFC R-134a refrigerant. This has already happened in the European Union as of January 1st, 2017 and will be happening in the United States by the year 2020. (Model year 2021.) Know that those dates are the deadline though and some manufacturers are already using 1234yf on newer vehicle models. Slight design differences in the design specs of certain components like TXVs, ports, evaporators, and condensers. Service ports are different then 134a. This is done to alert the technician that this is a 1234yf unit and also prevents the technician from accidentally connecting the wrong hose and mixing refrigerants. So even if you aren’t paying attention and try to hook up your 134a hose you’ll quickly realize you’re working on a YF unit. With 1234yf systems they have added a Suction Line Heat Exchanger, also known as an internal heat exchanger. This is an additional component located before the expansion valve. It is a state change helper that is used to improve overall efficiency of the unit. You may have even noticed these on newer model 134a systems as well. There are no moving parts on this addition as it is part of the hose line. The operating pressures and temperatures of 1234yf are VERY similar to that of 134a. As I said before this was done intentionally to make for an easy transition. Refer back to my fact sheet above to see the boiling temperatures. 1234yf uses PAG oil just like R-134a but please note that it uses a different type of PAG oil. It is always safest to read the sticker labels under your hood or to consult the instruction manual before adding in any oil. Evaporator designs must meet JAE standard J2842. YF is tougher on evaporators then 134a and this new standard is to prevent wear and tear and premature failure. 1234yf is classified by the ASHRAE as a 2L flammable gas. That means that 1234yf is rated as mildly flammable. Depending on who you are this could be a big deal or it couldn’t matter at all. There are two ways to look at this. Your car is already carrying gasoline in it and I can assure you that gas is far more flammable then 1234yf. On the other hand adding more flammable liquids to your car only increases your chance of fire during a collision. At the very minimum you will need to purchase a new refrigerant recovery machine if you plan to be working on 1234yf units in the future. The machine will have to meet SAE spec J2843. I will go into this further in our tools section further on down the page. YF’s price is significantly higher than what you are used to with a R-134a cylinder. A typical thirty pound cylinder of 134a would be around one-hundred and twenty dollars. If we divide that up that’s about four dollars a pound. Conversely, the cost of a ten pound cylinder of 1234yf is around seven-hundred dollars. Let’s divide that up as well. After the math we get seventy dollars a pound. That is a sixteen-hundred and fifty percent increase in cost. There are going to be a lot of shocked people when this refrigerant begins to get popular. You may not be seeing very many cars come into your shop today with YF refrigerant, especially here in the United States. There is a reason for that. Yes, there a lot of cars on the road that are using this new refrigerant but these cars are so new that most of them are falling under warranty when something goes wrong. What we are seeing today, October 2017, is a lot of dealerships doing the YF repairs. If we wait a few more years, say 2019-2020 I predict that a lot of the aftermarket shops out there will begin to see the demand for YF repairs. It just takes time folks. Hopefully by then the cost would have gone down. For those of you in the distribution industry or even those of you who like to buy cylinders in bulk you should know that 1234yf is labeled as a hazardous material. You will need to follow certain restrictions if you plan on storing a significant amount of YF at your facility. I won’t go too deep into it here but if you click this link you’ll be taken to Honeywell’s website with more information on the topic. It is best to read up on this topic and also to consult with your local fire department to ensure that you are in standard. Just like before in order to legally work on an HFO-1234YF unit you will need to be section 609 certified with the Environmental Protection Agency. If you are working at a shop then you are most likely already certified but if you are not then contact your service manager and see what steps need to be taken to get you certified. The certification is no different between R-134a and R-1234YF. While a new certification is not necessary there is additional training available through SAE Spec J2845. This training will go over specific requirements and techniques when servicing either 1234yf or R-744 mobile air conditioning systems. The easiest way to acquire this training is to retake your 609 certification exam through MACS Worldwide. They have updated their test to include YF material. When beginning to charge your system the recovery machine will do a vacuum hold test that will go for around two minutes. If the vacuum holds then we move onto the next step. If it doesn’t hold then check for leaks in your system. Once we have passed the vacuum test the recovery unit will deliver a fifteen percent charge to the system. This is known as a ‘precharge,’ of the system. While this is going on the tech will be prompted to start the blower motor on low, grab his leak detector, and then check the front evaporator inside the car for any leaks. After giving it some time to check for leaks go back to your recovery unit and alert it if you found a leak or not. If your vehicle has a dual system then you will also need to check your rear evaporator for leaks as well. 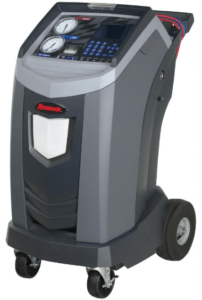 If the leak detector did not trigger any leaks with the fifteen percent charge in the system then the recovery machine will go ahead and put the rest of the refrigerant back into the system. After the system has been fully charged, disconnect your lines, and reseal the valves just like your normally would. Some of you may be groaning at the extra steps when compared to R-134a. Well, with all things, there is a reason why these are performed. The fifteen percent precharge and leak detection step is key to catching a leak on your vehicle before it has been fully charged. If we catch the leak early while the charge is still low we can save loss of refrigerant, save your shop some cash on that refrigerant, save the customer money, and also prevent further damage to the environment. It’s a win win for all involved. This first one is optional and truth be told a lot of you may not even need it as a good recovery unit should have gauges built in. But, if you want to have them as a backup or just like do things the old fashioned way then a good set of gauges will never let you down. We here at RefrigerantHQ recommend you buy the Robinair 41234 Manifold Gauge Set from our E-Bay Partner. The next essential tool is a electronic refrigerant leak detector. For an HFO detector you want to make sure that it meets SAE spec J2913. Our pick here at RefrigerantHQ is INFICON’s Tek-Mate Refrigerant Leak Detector. We did a review on this detector just last month. Click here to view. Lastly, and most importantly you’re going to need to purchase a whole new recovery/recharge machine in order to service HFO-1234yf. Yes, I know. It’s an expensive switch but like it or not every shop in town and across the industry is going to have purchase one of these. You’ll either bite the bullet now or a few years from now. Here at RefrigeantHQ we recommend purchasing the Robinair AC1234-6 recovery machine. Like I mentioned before this unit comes with a refrigerant identifier built right in so you don’t have to worry about buying one of those as well. This unit was the first commercially available recovery machine to meet the new SAE standards J2843 for a 1234yf recovery machine. Click here to purchase on Amazon and click here to view Robinair’s official product page. What applications will use 1234yf? Mostly it will be automobiles that use 1234yf. Eventually we will see medium duty and even heavy duty vehicles come over to the YF side as well. When will 1234yf come to the United States? It’s already here! 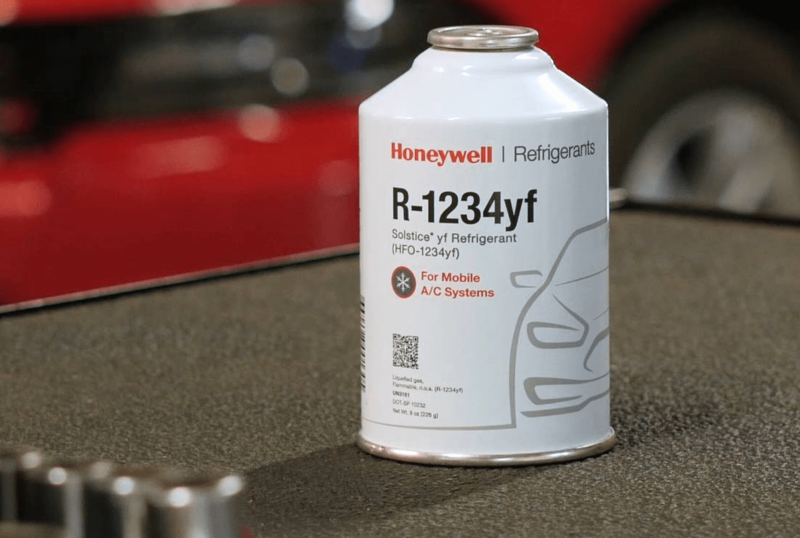 While the actual phase out R-134a doesn’t go into effect until the year 2020 many auto manufacturers have already taken the initiative and have begun using 1234yf on their newer model vehicles. Why are we switching refrigerant again for automobiles? I am sure most of you remember the days of R-12 refrigerant. R-12 was phased out back in 1992 due to the Ozone depleting Chlorine that it contained. The substitute that we used for R-12 was the new HFC called R-134a. It was later found that R-134a had a very high Global Warming Potential, or GWP, number. GWP is a measurement of Greenhouse Gases and their effect on Global Warming. A lower GWP alternative to R-134a had to be found and thus we have the new 1234yf. How is 1234yf different from R-134a? 134a is a Hydroflurocarbon refrigerant while 1234yf is a Hydrofluroolefin refrigerant. While these are two separate classes of refrigerants they are in fact very close to each other. The only main difference is that the HFO refrigerants have a double carbon bond whereas HFCs do not. I read that 1234yf is flammable, should I be worried? Truth be told, it’s not that big of a concern. Yes, it’s mildly flammable but so is the gasoline in your car. There have been countless tests from all different companies and organizations from all over the world. Throughout all of these tests there has been only one that found bad results from flammability. I will get further into this one bad test in the ‘history’ section in this post. Do I need to do anything different to work on a YF unit if I am already 609 certified? No, if you are 609 certified through the EPA already you are legally able to work on these new YF units. However, it may make sense to go through 609 training again and to take the test again as these tests have been updated to include newer YF questions. Do I need to be certified to purchase 1234yf refrigerant? Yes, as of January 1st, 2018 you will need to 609 certified with the EPA in order to purchase 1234yf refrigerant. The only exception is when purchasing containers that contain less then two pounds of refrigerant. This new rules applies to R-134a cylinders as well. Will I see a difference between temperatures and pressures when working on a 1234yf unit? There is a slight difference as you go up in temperature but for the most part 134a and 1234yf work on very similar temperatures and pressure. So, when did all of this start? Well, to understand the history of 1234yf and the other HFO refrigerants we first have to go back in time to the 1980’s. Back then all automotive applications were using the CFC R-12 refrigerant for their air conditioning. R-12 was the original mainstream refrigerant that came from the 1930’s. Ever since then it and R-22 had gained and gained in popularity until they were practically found everywhere across the country and the world. It was in the 1980’s that a team of scientists out of California realized that all of the Chlorine that was in CFC and HCFC refrigerants was causing damage to the Ozone layer. When vented or leaked the refrigerant would drift up and into the atmosphere. It is there where the Chlorine would do it’s damage. Eventually it got so bad that a thinning of the Ozone layer began to form over the Arctic. The scientists noticing this sounded the alarm and the world’s governments took action by creating the Montreal Protocol. The Montreal Protocol is a treaty that was signed in the late 1980’s by more then one-hundred countries. It’s goal was to rid the world of using Ozone depleting substances like CFC and HCFC refrigerants. This treaty was enacted in countries all over the world. The first target was CFC refrigerants such as R-12. In 1992 R-12 was phased out of the automotive market in the United States and was replaced with the newer HFC refrigerant known as R-134a. R-134a had the benefit of not containing Chlorine so with its usage there would be no danger to the Ozone layer. Lo and behold there was found to be another problem with R-134a. Instead of the Ozone layer issue we now had a new issue called Global Warming Potential. Global Warming Potential, or GWP, is a measurement of how much heat a greenhouse gas can trap in the atmosphere. The basic measurement on GWP is Carbon Dioxide which measures as one. This is our standard. Now, if we look at R-134a’s GWP number we can see a number of one-thousand four-hundred and thirty. Quite the difference here folks. We can now begin to see why a substitute for 134a was needed as well. 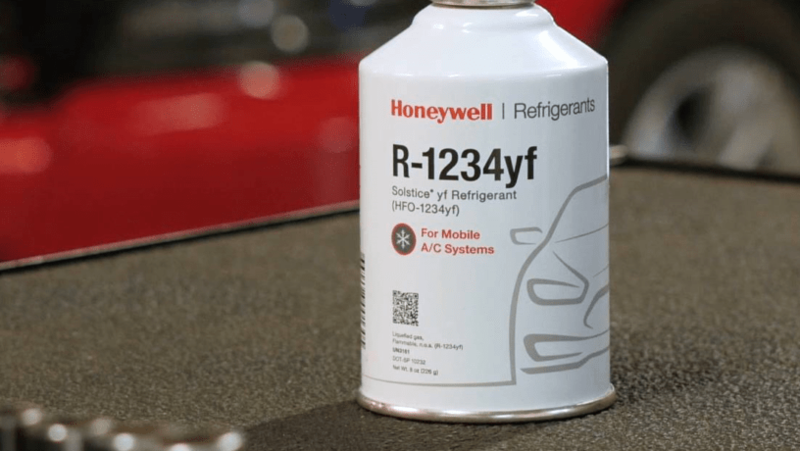 The problem was discovered and companies along with governments began to look for an alternative solution to R-134a and to other HFC refrigerants that were currently on the market as early as 2001. That’s less then ten years after the switch from R-12! While there were a plethora of ideas presented such as Hydrocarbons, R-744, or other natural refrigerants there were two companies that were doing the research, development, and work on creating and perfecting a new refrigerant known as HFO-1234yf. These companies were Honeywell and DuPont/Chemours. In 2006 the European Union came out with a directive known as 2006/40/EC. This directive’s goal was to reduce the emissions of fluorinated greenhouse gases from mobile air conditioning systems. This would be a gradual phase out across the European Union. The end goal was to have automobiles using refrigerants that had a Global Warming Potential, or GWP, number of one-hundred and fifty or less. 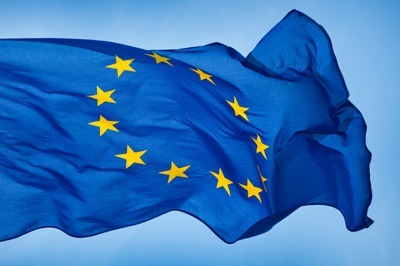 The first major date of the phase out was 2008, then 2011, and then finally on January 1st 2017 any new vehicle using a refrigerant with a GWP higher then one-hundred and fifty would be banned from the European Union. The problem here was that there wasn’t a viable alternative to HFC refrigerants at the time this directive was made. I’m sure you’ve heard of the expression: Necessity is the mother of invention. This timeline put even more pressure on Honeywell and Chemours. In only a few short years later in 2008 they presented HFO-1234yf to the Society of Automotive Engineers Cooperative Research Program. (SAE CRP1234) The society concluded that 1234yf offered superior environmental performance and that 1234yf was safe to use in automotive applications. After this test came a whole host of other tests from companies, governments, and other organizations all over the globe. Everyone wanted to make sure that this new refrigerant was not only good for the environment but also safe. Remember now folks that the new YF refrigerant went up a flammability level to 2L. Was it safe to use? Most everyone said that yes, it was… but there was one company that disagreed. There was one major bump in the road of HFO-1234yf to becoming the dominant automotive refrigerant. In 2012 Daimler began their own internal testing with 1234YF on some of their vehicles. They claimed that in some of their tests that when the refrigerant tank ruptured during an accident that the refrigerant ignited and caused a fire to occur. The video can be seen below. In the video there is a test with 1234yf leaking and then there is a test with R-134a leaking. The video speaks for itself. There were many disputes from numerous companies and organizations from all over the world to this test and claim from Daimler that the new refrigerant was unsafe for use. For a time it seemed like German Automakers were going to fight HFOs tooth and nail. They had their hearts set on R-744 CO2. Over the years though there have been numerous court battles and fines issued by the European Union but still Germany persisted against 1234yf. Eventually a lot of these companies lost the war of attrition and have folded into the 1234YF HFO craze and from the pressure from the European Union. There is one company, Daimler, that is pursuing their own route into the future by developing CO2 R-744 automobile air conditioning systems. Eventually, in 2015 Daimler did agree to use 1234yf in their new vehicles but this was only done to appeal the European Union. In the background, and now in 2017, very publicly Daimler has been developing and testing R-744 or Carbon Dioxide refrigerant modeled cars. It will definitely be interesting to see how this new technology develops over the years. In 2017 the final law went into effect across the European Union and 1234YF was found in every new car that was manufactured or imported into the EU. The only exception that I know of is Daimler and their CO2 automobiles. 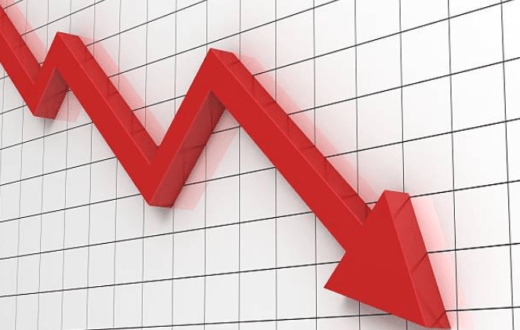 While the European Union market was changing there was also change going on in the United States. It seems that the EU is always a precursor for what happens here in the states. In 2015 the Environmental Protection Agency announced a new rule under their SNAP program called rule 20. This new rule dictated the eventual phase out of HFC refrigerants across the United States. While there are many HFC refrigerants in this ruling I will stick with R-134a for now. The basis of the rule was that by the year 2020, or model year 2021, all new manufactured or imported vehicles would not be able to use R-134a. There is room for a few exclusions here and there but these can only push the date back to 2025. Another thing to note here is that they do not state medium duty or heavy duty vehicle markets. So, that means your trucks, haulers, and other large equipment are not included in this ruling as of yet. 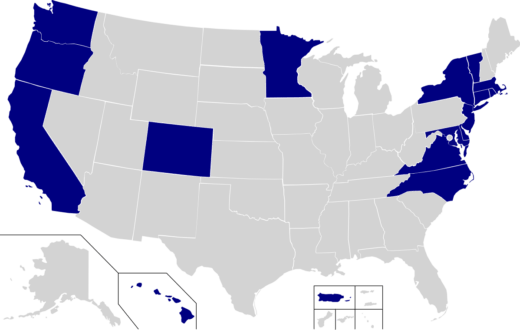 By combining the EU’s policy on R-134a and now the United States’ public policy everyone knew that the most logical choice for an alternative was HFO-1234yf. Sure, there were companies like Daimler researching R-744 but this was not a viable alternative at this point in time. Production had to be increased on YF as soon as possible. Earlier this year, 2017, the Chemours company broke ground on a new 1234YF manufacturing plant in Corpus Christi, Texas. This new facility is expected to triple the company’s output of 1234yf. Chemours was just following suit though as the Honeywell corporation actually opened up their new three-hundred million dollar facility in Geismar, Louisiana earlier this year. These two companies know whats coming. There is a wave of demand that is going to hit and hit hard. The question you have to ask yourself folks is are you ready? 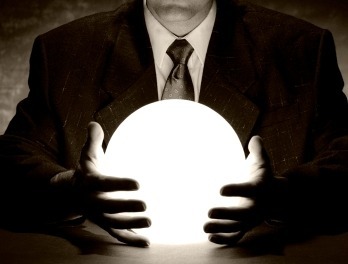 Are your employees ready? Is your shop ready? If not today then tomorrow you may have a YF unit roll in. Are you going to know what to do? Are you going to be prepared?